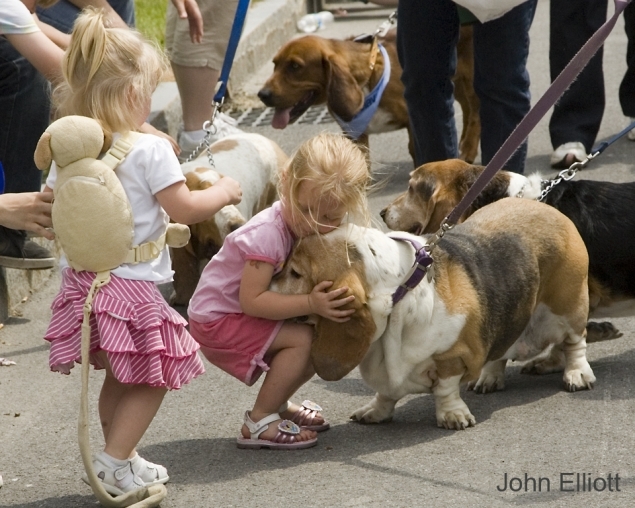 A childs reaction to a basset hound is a most precious moment. I captured this childs reaction during a recent "No Place Like Home" parade in Chittenango, NY, birth place of the author of the Sotry of the Wizard of Oz. One hundred plus bassets make for a most impressive entry in the parade and the spectators are most appreciative.